Imagine an old-time variety show updated for this modern moment. 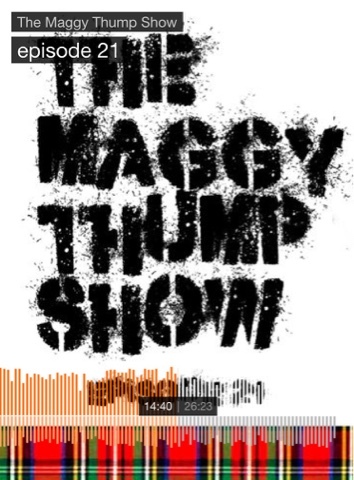 That's The Maggy Thump Show, a "mixtape magazine" which combines cutting edge music, humor and an eclectic group of guests -- including yours truly on Episode 21, Women w/o Borders! I had a blast being interviewed for this show. Hope you have as much fun listening to my segment (which begins at 14:40), where I talk about the origins of Style Maniac and what entices me to read other blogs. Enjoy "this influential stack of uk creativity transmittin' outta 215/usa" on iTunes and Soundcloud right now.